Local tax is not included. The total amount is due on arrival. Cancellation fees are as stated in the Generalterms and conditions of the Upper Austrian Youth Hostel Association. Place of fulfilment is the Youth Hostel Linz. Legal domicile is Linz. Front desk's operating hours: Monday- Sunday from 8.00 a.m. - 9.00 p.m. 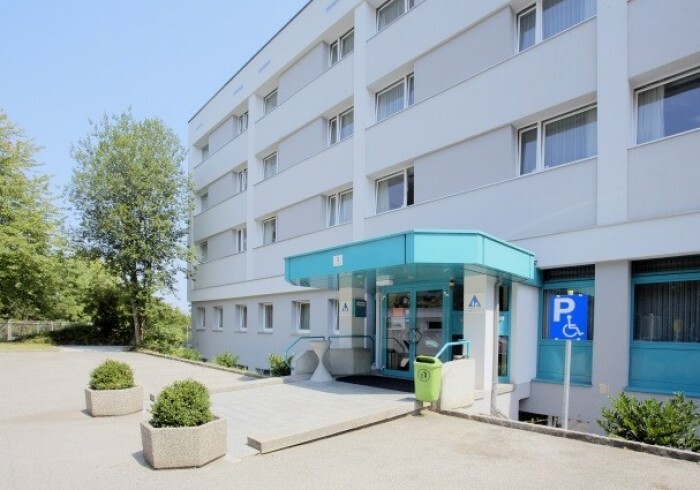 In a quiet, green area, yet centrally located, next to the stadium and sports arena, the hostel is the ideal starting point for your excursions to Linz. True to its slogan "Linz.changes" the city has experienced an tremendous change. Linz has become a modern metropolis with outstanding architecture from contemporary buildings to the baroque historical town. Culture, nature and science: find everything in one place.